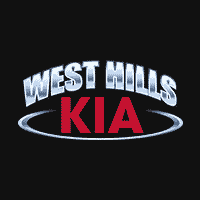 I got my Kia serviced by West Hills Kia. They were not perfect, but they took responsibility for their honest mistakes and tried their best to make things right. Every company makes mistakes-- I like how West Hills Kia handles them. We had a great experience! Everyone was very friendly and helpful. This is our second vehicle purchased at West Hills Kia and we have not been disappointed. Shawn Kelley, Colton Weeks and James Loescher were so amazing! I usually do not look forward to buying a new car. However, Shawn Kelley and Magdy Boules went out of their way to make the purchase of our new Kia Sportage effortless! They did a wonderful job at helping me find a new car and getting rid of my old one. Was a great experience. Went there and worked with Colton. Very helpful, good price, and the made the process simple and enjoyable. Thanks. Bought my wife's vehicle here years ago. Dealership was great to deal with. Now we have all our vehicle maintenance done here since. The maintenance department is always courteous and respectful. They come out to the car as you pull in and help you right away. They will give you updates periodically and provide a voucher for the coffee stand in building. Great place.